The Supreme Court has released its statement regarding with Quo Warranto petition. 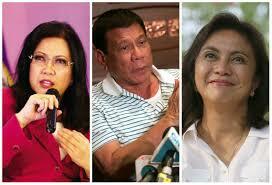 In lieu with the ousted Ex-Chief Justice Maria Lourdes Sereno, SC expressed that the same manifesto, the Quo Warranto case can be also used against the President and the Vice-President to evict them from their seat. If the ineligibility and disloyalty to the country found merit to the process, SC conclude it will apply to them the same fate Sereno falls. According to the rules of court, the government can initiate quo warranto proceedings against a person who “usurps, intrudes into, or unlawfully holds or exercises a public office."